With more than 1.2 billion mobile users worldwide, mobile banking is no longer a choice for the banks to offer. Mobile apps are almost a ubiquitous offering now, with more than 80% banks having mobile apps. However, millennials are entering the banking landscape and they have heightened expectations from their bank. The burgeoning mobile user base affords a fantastic opportunity for banks to achieve greater heights and generate more business opportunities. Customer centricity has been given the top billing among the challenges banks would have to address to generate growth in the digital age. 2018 will see mobile-only banks, i.e., shift of banks from physical workplaces to smartphones. Banks realize that “Mobile” is the best way to reach more customers without a physical branch necessarily, thus driving reach at lower costs. A mobile-only bank will offer their services as a fully integrated mobile experience alone, so customers can perform transactions on their smartphones, right from account opening to payment facility. As mobile only banks will not have physical branches, it will allow seamless integration with a range of solutions in equity trading, global money transfer, and virtual currency innovations. Chatbots are the future of customer service and will revolutionize the way customer interactions happen in banks. Increased usage of Artificial intelligence features will help to automate processes across divisions, thus improving efficiency and enhancing customer experience. Major banks have started customer service automation through bots, thus lowering service response times. In 2018 and beyond, banks are likely to invest a great amount in AI to automate repetitive processes and cut labor costs. As per a KPMG report, three to five full-time equivalent employees can be eliminated through process automation powered by bots. Innovations in this space mean virtual assistants would now be able to conduct transactions and offer suggestions to customers as well. These virtual assistants can now offer wealth management advice, detect suspicious behavior and deliver intelligent reports. Just a simple mobile app isn’t enough to drive adoption and revenues of the bank. It has become essential to offer value added services on the app with a view to drive adoption and increase active user base. Banks are increasingly collaborating with fintech providers, via accelerated programming interfaces (APIs) which facilitate secure and easy data sharing between systems. Banks offer multiple services through new age mobile banking app development, thus offering more choice and flexibility to the customer. Adding new features to existing apps has become very easy via the open API economy, thus leading to more transactions through the mobile channel. 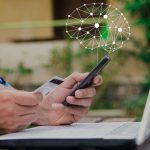 At the same time, integration of these offerings to the mobile banking solution seamlessly is a key challenge for IT teams today. Relentless attacks by hackers on digital properties remains a key area of concern for financial institutions. Banks now share data with 3rd party providers through open APIs. Banks must modernize their IT infrastructure and secure services through multi-factor authentication to ensure no data leakage. Banks must strive to build a “digital trust” with their customers, so that customers become more comfortable in performing online transactions. Features like biometric authentication, facial and voice recognition will enable customers make secure transactions, thus simplifying processes and providing higher security. Financial institutions need to add features to make mobile banking faster, safer and easier to use. Newer innovations would help to offer complex services to the modern mobile banking user, thus driving increased usage and more revenue generation opportunities. 2018 would be an exciting year in this space and Streebo looks forward to implement these innovations at major banks worldwide through our cutting edge mobile banking app development services! !